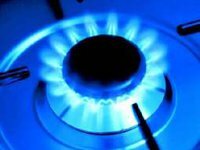 Ukraine will currently buy only Russian natural gas as its price is the best for the country, Energy and Coal Industry Minister Eduard Stavytsky has said. "Now we buy gas at a better price, as we did so earlier," he told reporters in Kyiv on Thursday, when asked whether Ukraine will continue buying gas from Europe in the reverse mode. When asked whether it means that Ukraine will buy Russian gas, he said: "Yes, because it's currently the most profitable."